← It is arguable that in Juliet, Shakespeare created a new model for the romantic heroine, courageous and resourceful, someone whose personality would be at home in the 21st century. Posted on March 14, 2018 by equinson	• This entry was posted in Uncategorized. Bookmark the permalink. After reading scenes i and ii of Act II of Romeo and Juliet, and watching the movie version of these scenes, we can see the emotion that Shakespeare is portraying in the play. Throughout the play Shakespeare has been showing love, especially in these scenes. To show the emotion I will be analyzing lines 28-30 coming from Romeo, and lines 43-45 coming from Juliet. Romeo’s lines say, “She speaks:/ O, speak again, bright angel! for thou art/ As glorious to this night, being o’er my head…” Here Romeo had snuck into the Capulet garden and sees Juliet on her balcony. He has not yet shown himself to her (since their first meeting) and is admiring her from afar. Everything Juliet does he admires, such as leaning her head on her hand. This one quote is him admiring her while she is speaking. All Romeo wants to hear is her voice. He is saying how just having her above her on the balcony and speaking to herself has already made this night glorious. Juliet doesn’t even know Romeo is there and his night is still amazing so far. For such a little things to impact Romeo so greatly just because they are of Juliet shows how much Romeo is in love with her. Juliet has this strong love for Romeo as well. Juliet’s lines say, “What’s a Montague? it is nor hand, nor foot,/ Nor arm, nor face, nor any other part/ Belonging to a man. O, be some other name!” Juliet says this before she knows Romeo is there. She is saying that there is no difference in a Montague man other than his name, but she still knows that they cannot be together. She wishes for Romeo to be of another household so they they can be together. This shows Juliet’s love because at the time this took place your family was everything, you were proud of it and stayed strong with it. Nobody would ever even think of marrying someone of a ‘rival’ house, but Juliet’s love for Romeo is so strong that she does think of it and wishes that he was of another house. Romeo and Juliet’s love will be shown more and more as we keep reading and I can’t wait to see how Shakespeare shows it! Great blog! I liked your interpretation of the lines you chose. Romeo says this after he hears Benvolio and Mercutio making fun of him. A translation of my own words would be “He is making fun of my scars without ever being wounded”. Benvolio and Mercutio are making fun of Romeo for being in love but they themselves have never been in love. This is an idea that has been around for a long time. What right do Benvolio and Mercutio have to make fun of Romeo when they can’t relate to what he’s going through. There is also a metaphor in this sentence because Romeo compares his love to wounds. The sentence I am choosing for Juliet is “What’s Montague? it is nor hand, nor foot, Nor arm, nor face, nor any other part Belonging to a man.” In this sentence, Juliet explains how irrelevant a name really is. Just because his last name is Montague doesn’t mean he is bad. She also says how the name isn’t a part of his body. There is nothing wrong with him because of his last name. From this sentence, we can also see how Juliet already seems okay being in love with a Montague. The feud between the two families means nothing to her. This is also foreshadowing that nothing will come between their love and they will do WHATEVER it takes to be together. I like your interpretations of the sentences you chose. The modern variation of this lesson is the slightly different “you can’t teach what you don’t know”. I also chose the same sentence from Juliet, What does a name actually mean? Why are they so important? You point out that for Juliet a name is just a label assigned to a person and Juliet is fine that Romeo has a disagreeable label. I agree with what you said about Juliet. She doesn’t seem to care about Romeo being a Montague other than the fact that she loves him and is scared that her family will kill him for being around her. The first thing we notice is the sun killing the envious moon. The moon refers to the Roman goddess Diana who is also equated with chastity. As long a Juliet is a virgin she is a maiden of Diana. The next lines tell Juliet to stop being a maiden of Diana since only fools are. We can infer from this Romeo’s relationship goals. Shakespeare personifies the sun (humans kill not celestial bodies) and uses it to more clearly explain Romeo’s message. Another genius decision by Shakespeare was to allow Diana to embody the moon. That further shows Romeo’s idea that it is bad to be a maiden of Diana. Shakespeare asks, through Juliet, what is a name and what does it actually convey. I believe this hints at an idea about nobles and royalty. A person’s name or status has nothing to do with them personally. Names only segregate and isolate people. In this case, Romeo and Juliet cannot be together only because of something neither of them can ever change. It’s a shame that something people are born with determines so much. Great Job, Devan! You stayed on task and provided a great response with great analysis. Keep up the great work! I like how you connected with the moon with the goddess Diana. Many insightful points which opened my eyes a little to other ideas. I really like how you dealt with the segregation and isolation aspect of names. It is important to keep that on mind, especially in these upcoming scenes. After reading scenes i and ii of Act II of Romeo and Juliet, and even watching part of the movie (which illustrated a bit too much of what happened), even after only meeting each other twice, Romeo and Juliet act as if they have been in a relationship for years. Juliet acts as if she is much older than thirteen and Romeo uses his parkour skills a lot. When Romeo spies on Juliet (weirdo), he finally hears her speak more. By surprise, Romeo silently says, “She speaks yet she says nothing: what of that?” Here, he is still spying on Juliet from the bushes. There, he is admiring her beauty. He loves Juliet so much that whatever she does, he loves it. However, Juliet is upset that Romeo is a Montague and wishes he was anything but that. “O Romeo, Romeo! wherefore art thou Romeo? Deny thy father and refuse thy name; Or, if thou wilt not, be but sworn my love, And I’ll no longer be a Capulet.” Romeo likes Juliet so much that he says where cheesy lines to her to express his love. “O, speak again, bright angel! for thou art As glorious to this night, being o’er my head. As is a winged messenger of heaven Unto the white-upturned wondering eyes Of mortals that fall back to gaze on him When he bestrides the lazy-pacing clouds And sails upon the bosom of the air.” If they keep acting like this, they might get caught so I think they should not meet as often and stay in the friend zone although this certainly will not be the case. Great job! I liked how in your blog you added your thoughts during the scene such as “weirdo”. Keep up the great work. 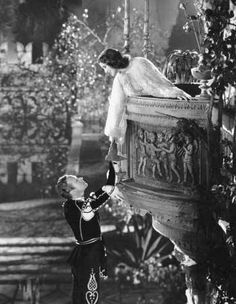 In tonights reading of Act 2 scene i and scene ii of Romeo and Juliet, by WIlliam Shakespeare, we get to one of the most popular scenes most oftenly known as the balcony scene. One of the most memorable line in Romeo and Juliet is “O Romeo, Romeo! Wherefore art thou Romeo?”After our class discussion on how it means why Romeo I started to think more about this quote and about how their names contribute to Juliet saying this. It’s almost as if Romeo’s personality isn’t like his name but when I think of someone, I think about their name. For example, when you see a friend and they ask you what name they look like, you say their name. So why is it that Juliet can’t accept that his name is Romeo. She is acting as if he could change that but he can’t. Romeo shouldn’t feel bad and like a disgrace for being a Montague. Neither should Juliet about being a Capulet. They should both put their names and history besides them because what they have is true love. Why should a name have to be changed in order for one to love another? This issue comes up today when women give up their last name during their wedding. Personally I feel that women should do whatever they want just like how they could both Romeo and Juliet can keep their name and love each other, without feeling ashamed. Also, why is Juliet letting the way other people think affect love. On thing mentioned earlier on about love was that you shouldn’t mess with love and you can’t control fate. Romeo and Juliet’s names can’t interfere with their love either. Nor shall it matter because relationships are about the emotions they feel, not the names they hold. A misconception about the line is that Juliet was looking for Romeo. This is wrong. Juliet was discussing her thoughts not looking for love. This ties up into a Petrarchan sonnet where the girl, in this case Juliet, doesn’t choose to interact. But, Juliet is interacting. She doesn’t look for Romeo which is what many think is a Shakespearean sonnet, but instead, she makes the choice to stay calm and talk when they meet. In other words, she isn’t chasing him, but she also isn’t playing “hard as a rock” like a Petrarchan sonnet does. In this sentence, the image being created is that Juliet is as glorious as an angel an Angle soaring above the mortal Romeo’s head. This image in a way could be considered an epic simile. It is, after all, a meaningful and emotional simile flowing across many lines of poetry. The reason this works is that one could consider the works of Shakespeare to be poetry, which has brought me to yet another Idea. If this text is an epic simile, then, could the entire work be considered an epic. After all, the work is in iambic pentameter and does include multiple sonnets. In this sentence, she is using the image of worthlessness to compare to the name Montague. She does this by stating that is not a part of one’s body, does not categorize one’s thoughts, and therefore has no significance. This is an interesting Idea, as it is the opposite of materialistic views. This in a way, shows that Juliet values love, and the person, not names or given Identities. Juliet is questioning to herself why Romeo has to be Romeo-Montague. She wants him to forget about his father and change his name so they can be together. Next, she says that if he won’t change his name, he must swear to love her in order for her not to be a Capulet. Everything these characters are saying and doing just adds to their everlasting love story. These star-crossed lovers love each other more than anything, and it’ll be interesting to see this relationship progress throughout the course of the story. I wonder what will happen regarding names. Juliet keeps telling Romeo to deny his name, and that if she’s loved him she won’t be a Capulet. Will anyone’s last name change in the story? I hope to read more and learn more about Romeo, Juliet, and their everlasting love story. As glorious to this night, being o’er my head…” Romeo was admiring Juliet from afar, as he had not revealed his location to her at that time. He was in awe of everything about her, including something as small as her action of resting her head on her hand. Romeo’s night was made at the moment he was able to observe Juliet, and nothing else mattered to him except for her. Juliet says “O Romeo, Romeo! wherefore art thou Romeo? Deny thy father and refuse thy name;…” Juliet does not know that Romeo was listening to her while she way saying her words. She was merely speaking to herself, and wishing upon things that she knew had little to no chance of actually happening. Here, she is telling Romeo to deny the name of the Montagues, so the two of them can be together. She also goes on to say that if he doesn’t deny the name, then she will take the initiative and do so. She is in love with Romeo, and would do anything and think of anything to let them be together. Romeo compares Juliet to the sun, the one thing in the sky that shines brighter than anything else. He even says that the moon is envious and that she the beautiful sun, must kill it. He also says that Juliet is her maiden that is much more fair than the moon itself. His depiction of Juliet and her beauty are breathtaking and it seems that he makes Juliet fall in love with him minute by minute with his beautiful words. What’s Montague? It is nor hand, nor foot. Juliet explains how a name is meaningless when it comes to the important details. She even mentions a rose and how even if it was given a different name, the rose would still smell as sweet as it was before. Like names, Capulet and Montague have no meaning except, status and ego. Without the rivalry, Juliet and Romeo could easily be seen together in public. However, due to the constant brawls and due to the fact that the Capulet’s and the Montague’s pride levels are sky high, Romeo and Juliet cannot and will not ever be together. In public. Juliet makes a very valid point and that names have no meaning especially in the matter of true love. I am very excited to see how their love for each other will pan out. Great response, I can really tell that you took your time to analyze the writing. It was very nice to read. In these lines, or this sentence of the scene, you see how much Romeo admires Juliet. He sees her and her movements and wishes to be close to her. When he says, “O, that I were a glove upon that hand.” He wants to be near he and with her forever. He is letting us know that he watches her every move in amazement and wonders about how she could be so perfect. Shakespeare wrote this in order to convey the feeling of love that Romeo had while in the presence of Juliet. Without the artistry of these two lines, we may not fully understand just how much they love each other, especially when so many odds are against them. Within these lines, Juliet is saying that she would give anything for Romeo and to be his. She wants to share herself with him, she wants him to know every aspect of herself. “And for that name which is no part of thee, Take all myself.” From these lines you can understand her love and devotion to him and thanks to Shakespeare, we have the ability to feel as though we are going through this love story with them. Romeo and Juliet are desperate to be together, in each other’s arms learning everything about one another. With the lines written by Shakespeare that give us these images in our heads and details to prove our predictions, we feel as though we are apart of this love and it makes us love this play as much as everyone in history and today has loved it. Throughout Romeo and Juliet’s dialogue in scene ii, Shakespeare creates more images and ideas to his play. One of these ideas I’ve noticed is the theme of light and dark. In the lines, “Her eye in heaven / Would through the airy region stream so bright / That birds would sing and think it were not night,” as well in the lines hitherto, Shakespeare likens Juliet to the sun. His entire verse attempts to put into the reader’s mind an image of Juliet as a brilliant light in the night. I have noticed that during most of Romeo’s time in the play before his meeting with his true love, it happened to be night. In this scene, Shakespeare is creating a radiant image of light in the dark. That shining light, or in other words, Juliet, is the one who brightens Romeo’s life. Darkness may also be linked with Romeo’s lack of love and success with ladies. If light is connected with intimate love, and darkness cruel and distant love, then Juliet shall finally force out that dark. / And I’ll no longer be a Capulet,” shows to the reader how desperate they are to be together. They feel such intense love for each other that Juliet even suggests they change their names and leave their own family. Shakespeare’s writing allows the reader insight into the idea of lovers who would do anything for each other. This, in turn, exhibits and gives a feel of something beautiful. In tonight’s reading of Romeo and Juliet, we witness Romeo and Juliet openly profess their love for each other. The reading started with Benvolio and Mercutio trying to find Romeo by calling out his name-or rather, taunting him. The scene then flips to Romeo and Juliet, where Romeo talks to Juliet on her balcony. She tells him that she hates the fact that he is a Capulet, yet still loves him for who he is. He promises to swear his love to her, yet she tells him not to be too hasty. Before departing, Juliet tells Romeo that she will send for him tomorrow to ask for a proposal. Both leave, bittersweet because they had to depart so soon. While talking, Juliet asks Romeo why he is a Capulet and to deny his father, saying, “Or, if thou wilt not, be but sworn to my love, And I’ll no longer be a Capulet” (ll. 38-39, page 71).To me, this line of text really communicates Juliet’s love for Romeo, as well as the environment around her. The fact that both have to reject their families to love each other shows the real strife in Verona between the two houses. Yet it also speaks to the fact that they are willing to put it all aside just to be with each other. Romeo and Juliet are in love, yet even at the party, before getting too far, they chose to find out each others identity as a member of the opposing family. So, why did William Shakespeare do this? I believe he did this to reveal a theme of youth apparent in the novel. There is a notion of young love, and almost pure innocence that arises from Romeo and Juliet, allowing them to be so deeply romantic. Overall, I found tonight’s reading to be very interesting in terms of the relationship between Romeo and Juliet. Today we read about how Romeo and Juliet converse at night after the Capulet party. When Romeo sees Juliet, he says to himself, “Two of the fairest stars in all the heaven, having some business, do entreat her eyes to twinkle in their spheres till they return.”(page 71, lines 15-17) Here, Romeo says that Juliet’s eyes have the two prettiest stars in them. He means that two of the most beautiful stars have taken their time to grace Juliet’s eyes with their presence. Romeo is saying that Juliet is so beautiful and deserving that even stars have taken their time to twinkle in her eyes. I chose this quote that Juliet said; “Deny thy father and refuse thy name; or, if thou wilt not, be but sworn my love, and I’ll no longer be a Capulet.”(page 71, lines 37-39) Juliet is saying here that Romeo should betray his father, and if he won’t then at least he could swear he loves her. Juliet would betray her family because she loves him so much. Although they just met, the love they harbor for each other is great. Juliet would do anything to be with Romeo, and Romeo would do the same. Juliet would rather be rejected by her family than live without Romeo. She is expressing her love for him here. When she first speaks, she says, “Ay me!”, which shows the pain she is in. Juliet knows that she is not allowed to be in love with Romeo. It is forbidden for them to love each other, but she loves him anyway. I wonder if Romeo and Juliet will get discovered sooner or later. I’m really excited to keep reading. Nice! You really helped me understand some lines of the text! Thanks! In this sentence/phrase, Romeo is describing Juliet, and is telling her how beautiful and gorgeous she is. I specifically chose this sentence because Shakespeare, once again, uses “stars”. I feel that “stars” will be a motif in this play, especially because it was mentioned in the first prologue, and revealed the ending. Romeo says that Juliet’s cheeks are brighter than the stars, like the daylight, or sun, is brighter than a lamp. She lights up so much, that the birds will think it’s day time. Juliet is bright like the stars, and the Romeo and Juliet are STARcrossed. Shakespeare is hinting at us their fate, when Romeo and Juliet are talking to each other. Juliet, in response is also showing affection to Romeo. She hates that he is a Montague, and believes that a name does not affect the person’s personality. She is using a flower, the rose, to describe this. If a rose was called a different name, it would still smell sweet. Juliet’s family hates the Montagues, but it is just a name, and they can’t figure out their whole personality and beliefs through their name. Great job, Ellie. You had good analysis and details from the text. In act ii scenes i and ii, Shakespeare is trying to show just how in love Romeo and Juliet are. Here Juliet is speaking to herself, not yet aware of Romeo’s presence. She is thinking aloud and is saying that it is not the man that is her enemy but the bame, and that the man is still himself. She is deeply in love with Romeo, even though they only met for the first time that very night. And she has found out that the only person she has ever loved is supposed to be the only person she is to always hate. If they had been any older, I believe that Juliet would never havery proceeded to love Romeo. Although it is such a great moral that Juliet sees Romeo as Romeo, and not Romeo Montague and it is such a moral that does not seem to have as great of an effect on an older person. If they had been older she would have grown up with being taught to hate the Montagues, and would not be able to view Romeo as just Romeo. But that is not what Shakespeare is showing here. Here he is showing just how much love is shared between the two, and by having Juliet say to herself that Romeo is just Romeo and she does not have to hate him for his sir name, shows just how powerful this love is between them. Here Romeo is hiding from his best friend, who is looking for him and laughing about Romeo. Romeo is talking to himself and claims that Mercutio has never truly been in love and cannot make fun of Romeo because he has never felt the wound that love creates. This is important because it shows just how devoted Romeo is, but also how young he is. It shows his devotion because he sticks up for Juliet even though she has no idea about what is happening. He does this by telling himself that Mercutio is stupid and doesn’t understand love. It also shows how youngbhe is for being able to switch his mindsett son easily. Before he saw Juliet he was constantly complaining about Roseline and how she will never love him, yet he still loves her. But now he has completely forgotten about his old love and has changed his direction towards another. This is very romantic in the way that Romeo claims his love for Juliet to have wounded him so deep that it has created a scar, something that will last forever, and yet it is also selfish of him to be able to switch from one girl to another just by looking at a new one. Shakespeare could possibly meant to have shown this or not, but this is what I think. I think that as romantic as thelse scenes are, it also shows how young the two are, and that they have jumped into something far deeper then what they had thought. It can also show just how quick the two decided that they are in love, and just howbfooloshbthat decision may have been. Great job Remy! you explained a lot and I loved your response. Nice work! I believe the moon symbolizes chastity, and the refusal of marriage. After all, Artemis, the goddess of the moon, is also the goddess of maidenhood. Also, in line 3, Romeo says that Juliet is the sun. However, Romeo never knew the Juliet that didn’t want to be married. He only ever knew the Juliet that was filled with love for him. So Romeo wants the loving Juliet to reject maidenhood. The rest of the sentence is more or less the same thing. I don’t really understand line 5, but line 6 is saying you are far more beautiful than any of the moon’s (Artemis’s) maids. Do not be her maid, because they never get to experience marriage. I don’t really get line 8 either, but line 9 sums it all up by saying that only fools would reject the idea of marriage. Through Romeo, Shakespeare is expressing his ideas of marriage. He believes (or at least, it seems he believes) that everyone should be married. Romeo’s speech is about the foolishness of rejecting marriage. Shakespeare uses Romeo as a tool to make apparent his personal opinions. In tonight’s reading we read the famous scene at Juliet’s balcony. There were many lines that displayed imagery and emotion. Romeo said a beautiful line that displayed amazing imagery, “But, soft! what light through yonder window breaks? It is the east, and Juliet is the sun” He is talking about an image of a ray of light shining through a window pointing to the east. I can just imagine Romeo turning around to see Juliet glowing in all her beauty. It is so romantic and sweet, and you can tell how much Romeo loves her and thinks she is the most amazing person ever. For Juliet’s line, I want to focus on an emotion Shakespeare was trying to craft in this scene. “What’s Montague? it is nor hand, nor foot, Nor arm, nor face, nor any other part Belonging to a man. O, be some other name!” Juliet seems to be so angry about how her lover Romeo has to be her enemy, just because of his name. It is a frustrating situation, and Shakespeare really showed that. It is kind of like racism, it is so frustrating how people can hate someone because of the color of their skin, that just makes no sense! That is the feeling Juliet feels in that moment, and you can clearly see the emotion. I loved this powerful scene, and I am excited to read more. In this sentence, he wishes for Juliet, represented as an angel, to speak. He says that she seemed like a glorious, winged messenger of the heavens above him. He also describes himself riding the clouds to reach this gorgeous angel while being gazed by these “mortals.” He is basically saying that he pictures himself capturing the love of Juliet, another high-class lover. Their love would definitely cause some glares and stares from the people of fair Verona. She says she will refuse her status name, but if she does not, she will be sworn by the love between her and Romeo, and then she will no longer be a Capulet. That is a huge thing to say, but then again, she was blinded by love and was merely a young teenager. She chose a family enemy that she was not meant to be with her family that had taken care of her since birth. This not only shows how foolish and young these two lovers were, but that these two thought that they really loved each other like they believed in love at first sight. Shakespeare’s words really gave it a feeling of young love. In Act II scenes 1 and 2 of Romeo and Juliet, we read about and experience Romeo listening to Juliet go on and on about her immense love for him. Within their dialogue, Shakespeare has provided us the readers with more demonstrations of the emotions that both lovers have. Also, clever as ever, he provides imagery to help us discover meaning behind his phrases. For Juliet, we can analyze her way of looking at the meaning names. “What’s in a name? That which we call a rose by any other name would smell as sweet; So Romeo would, were he not Romeo call’d, retain that dear perfection which he owes.”(Lines.46-49). Shakespeare uses imagery here, having Juliet compare Romeo being a Montague to a rose being called a rose. The name changes nothing, and the rose stays sweet. In a similar way, Juliet believes that Romeo would be just as sweet if he was a Capulet. This message would not be understood as well had he used another object that wasn’t sweet. Also, I interpret this as showing an idea that names mean nothing. Instead, it is personality that matters. I believe this to be true in any case because it doesn’t matter how a person looks or what you call them, it’s about what is inside them that counts and has true meaning. As for Romeo, he is having his own conversations with himself while he listens to Juliet. “O, speak again bright angel, for thou art As glorious to this night, being o’er my head As a wingèd messenger of heaven Unto the white-upturnèd wond’ring eyes.”(Lines.29-32). Shakespeare shows more imagery of the Petrarchan lover, with Romeo comparing her to an angel and looking up at her while she is in heaven and he is down worshipping her. However, we know Romeo to be the type to go after the girl he worships, rather than look from afar. For this reason, I believe this to just demonstrate his love for her and not show traits about him. Also, this phrase shows the idea that Juliet is the only true beauty he has ever seen, and that he will settle for nothing less than her. More with the Petrarchan lover, it shows that he is willing to go after the perfect girl he finds. In “My Mistress Eyes”, the mistress is pursued but she is less than perfect as we know. And in “Shall I compare thee…”, the woman is not pursued but she is perfect. Perhaps this shows that with Romeo being a balance of both, a man who goes after the perfect lover, he is a type of stereotype-breaker. I think this idea is true because we know that the death of Romeo and Juliet will break this hatred between the two houses. Great job with analysis! Keep it up! The image Romeo through Shakespeare is trying to portray is that Juliet is an angel. He worships here as if she’s some kind of godly being. He begs her to speak again as if he’d had just been visited by Angel like in the Bible. Romeo feels like just by hearing her voice he has been blessed. Through his words he puts Juliet on an even higher pedestal than before. He says she is the winged messenger of heaven, this makes me see the wall he scales to get to her is like the stairway to heaven, in this particular instance. The idea or more like the question being asked to the audience/reader; is what is a name? What power should a last name hold. Should it prevent two lovers to be together. What really is a last name? Here it seems Juliet ponders on how deep a name really lies. Names can mean so much and so little. For Romeo and Juliet, their last names control and restrict their lives. Should they continue to let their names rule their lives? Juliet seems to wish that their surnames meant nothing and they could have a normal romance. Montauges is just a word, it’s just a name, not even a title. It doesn’t live, it doesn’t breathe and it shouldn’t control them. Since in reality it’s a word, it’s kind of nothing. It has no real significance but it does. Juliet wishes it didn’t but she is helpless there isn’t anything she can do. Good job! I agree with you, Maya. After reading what Romeo thinks about Juliet, he is still this Petrarchan lover. Also Shakespeare did choose the words angle, and blessed to show religious undertones, nodding to Romeo’s Petrarchan feelings. I really liked the thinking and questions you provided after Juliet’s quote. It is so true that their last names restrict their love. Perhaps names are a motif or symbol. I absolutely fell in love with the tonight’s reading. The dialogue between Romeo and Juliet was full of imagery, and carefully crafted ideas that show the love that they have for each other. Romeo uses the sun to describe Juliet’s light and beauty. Her light kills the moon as she rises in the east. Juliet is fairer than the moon, so the moon is jealous. Romeo is saying that no one can compare to Juliet, because she is so lovely and fair. In these lines, Juliet asks herself, “What’s in a name?” She ponders the reasons why Romeo having the name Montague completely ruins their relationship. In her lines, she says that if we called a rose a different name it would still be sweet. Therefore, if Romeo weren’t a Montague, he would still e perfect to Juliet. The rose obviously represents Romeo, and because roses are red the color represents love or death or passion. Both of the lovers think that the one they are in love with is the most beautiful, sweetest, and fairest being ever. They love each other beyond compare, therefore, nothing can compare to their romance. Both of the lovers think that the one they are in love with is the most beautiful, sweetest, and fairest being ever. In this scene however, Romeo and Juliet compare each other to the loveliest of things. Juliet is Romeo’s sun, and Romeo is a s perfect as a rose. They love each other beyond compare, therefore, nothing can compare to their romance. Also I would like to analyze what Benvolio and Mercutio were saying to each other as they searched for Romeo. What they say about Romeo’s love really gives us a clue of how they are as a person. Whoops! I posted this blog twice by accident. Please disregard my first one, my second one has a question at the end that I’m hoping some of my classmates can help me with. Thank you! In these lines, Romeo expressed his longing and live for Juliet, seeing how beautiful she is and how bright she is. Romeo sees how beautiful Juliet is, and he has taken her heart. When reading this, Juliet says, Why Romeo? She asks herself as if she does not have a choice wether or not to be with Romeo. She doesn’t want her family name to get in between her love, she doesn’t want the pain, but at the same time, she knows she is destined for it. Nor arm, nor face, nor any other part Belonging to a man. O, be some other name!” In these lines she clearly is stating her stance on the feud of the Capulets and the Montagues. Juliet realizes how much no fence this feud really is. She also comes to say that Capulet and Montague are just names and that they should not mean anything in the long run. Names do not define a person or show what type of nature a person born into that name might have. She realizes that if Romeo was a Capulet no one would disagree but the sole reason they do disagree is because of this feud. She also makes a stance here that she would do anything to be with Romeo. She would even disregard her name of Capulet. Shakespeare seems to show many messages through this one of which is that Love can change a perception of someone as we are with Juliet now knowing that Romeo isn’t a horrible Montague as what was always told to her. Also Shakespeare brings forth the idea that people would do anything for Love and in a way love manipulates people. Sometimes this manipulation is good or sometimes it is bad. Finally Shakespeare strengthens Juliet’s role as a smart heroine figure in the play by showing the audience that Juliet has the sense to see how silly this ancient fued is. A sentence from Romeo that I think has good imagery and characterisation, is lines 2-9: “But, soft! what light through yonder window breaks? / It is the east, and Juliet is the sun. / Arise, fair sun, and kill the envious moon, / Who is already sick and pale with grief, / That thou her maid art far more fair than she: / Be not her maid, since she is envious; / Her vestal livery is but sick and green / And none but fools do wear it; cast it off.” This reveals a lot about Romeo, as he seems to be comparing Juliet to the sun and then to the moon, which shows how highly he thinks of her. There are several cultures and civilizations that have or still do worship the sun and the moon, but especially the sun. The Greeks, Romans, and Ancient Egyptians all had a god to represent the sun and sometimes the moon, which they worshipped and brought offerings to. This just goes to show how Romeo is basically worshipping Juliet, as he thinks of her as highly as past people have thought about the sun. I read in Devan’s blog that Shakespeare is having the Roman goddess Diana represent the moon, as she is the goddess of chastity. I didn’t even realise this at first, but it does really make sense. Having Juliet be the sun that is killing the moon, it represents her not being a maid anymore. Devan already said this, but I think it’s worth saying again; It really shows Romeo’s true interests and his ultimate goals in his relationship with Juliet. As for a sentence from Juliet, I think lines 36-39 have good characterization: “O Romeo, Romeo! wherefore art thou Romeo? / Deny thy father and refuse thy name; / Or, if thou wilt not, be but sworn my love, /And I’ll no longer be a Capulet.” Ms. Quinson said that “wherefore art thou Romeo?” actually means “why are you Romeo,” as in why is he a Montague. Their families are enemies, so falling in love with each other is a big no-no. She is saying that she wishes Romeo was a Capulet like her, or that she was a Montague like him. She is asking him to forget his name and go with her, and if he doesn’t, she will. She goes on in later lines to say that a name is just that, a name, and nothing else. It’s a label with no meaning, what’s really important is who the person is. I really like this thought, and I honestly find it a better one than Romeo’s whole spiel.